We all know that blogging / facebook, & or twitter is in our arena of what we like to do, so I am going to rule them out as one of the 5 that you can post about. They really are not very girly. Likewise, phones, computers, ipads are all out of the running. I am challenging myself to this, as I am really not a girly girly type of person, and I want to find that within myself. It’s not all about power suits, filofaxes, ipads and designer phones. My hair - I haven't got a single grey! I'm 31 so I thought I'd have a few by now but I'm secretly proud of the fact that to date I don't have one single silver streak. My cooking - When I was pregnant we ate takeaways, pizza and chips alot but since I had Bug I've been cooking more healthily, and not just my bog standard curry and bolognaise. I've been using Sainsburys 5 meals for £20 for inspiration and I've been able to cook different meals and hide the vegetables so that the kids will eat them. Even my sister asked for cooking tips the other day and she's the cooking expert of the family!! My Determination - Whenever things get tough I grit my teeth and get on with what needs to be done. It's hard and I want to collapse in a big heap and cry but with determination I can get through anything. And because I've done it before I know I can do it again. Hands up who has put a plastic carrier bag or bin bag on their car seat or buggy under their toddler when potty training in an attempt to protect said seat?! Yup, guilty as charged!! Well the kind people at ukmums.tv sent me this product to review which means I don't have to have a rustly toddler anymore! The Wetec Seat Protector & Booster Seat Protector from Koo-di provide a simple and effective method of protecting seats while keeping baby’s skin comfortably dry. Made from soft cotton terry towelling with a padded absorbent lining and waterproof backing. The Wetec range is machine washable at 40°C and extremely easy to use. Simply position into the seat and it is held in place using the harness. Koo-di Wetecs are not only essential for protecting expensive car seats and pushchair covers during toilet-training, but also provide that extra bit of security for younger babies too. In the event of nappy leakages, particularly on long car journeys, the Wetec will keep baby’s skin dry until it is convenient to stop for a nappy change. When I first opened up the package I was surprised at the size of the product – it looked a little small. 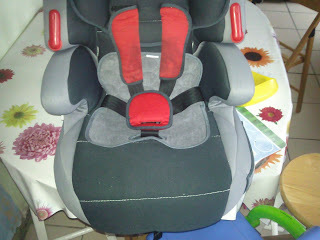 But I noticed the loop which fits over the crotch strap in a pushchair or car seat and I found that this really kept the Wetec in place. Having the Wetec with me in the car really gave me the confidence to take Boy out without a nappy on. Previously I’d either taken him out in the car with a nappy on or used plastic bags in case of accidents. 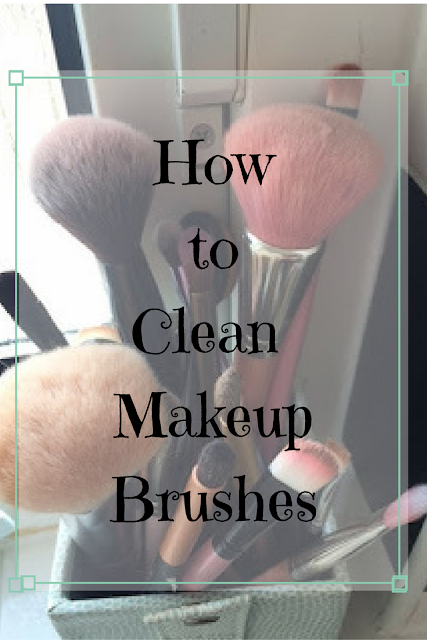 The very first time I used it I had the chance to prove how well it worked! He wet himself but the Wetec worked brilliantly! The car seat was dry which definitely takes the hassle out of potty training. But the best thing was how dry it kept Boy. When I changed him his underpants and trousers were hardly wet at all, in fact they were barely damp which meant that using the Wetec I could quite easily have waited until I got home to change him and he would have been quite comfortable. Although initially I thought the Wetec was small it did the job perfectly well. Personally I’d like to have 2 of these so that I could have one in use and one for spare, although to be honest, you don’t really need to change swap it out, its just for your own peace of mind. My mum was so impressed she wants one for her car. It has definitely taken the hassle out of being out and about when potty training. The Wetec washed really easily and dried well too. Very happy with it and would recommend to any potty training mums!! They retail for between £5-£10 depending on where you get them from so they aren't expensive for the peace of mind that you get when using one. I haven't been paid for this review but I was provided the Wetec by ukmums.tv for the purpose of the review. Ok I've counted up and including the ones in the loft I've got 6 pushchairs/buggies/prams!! Well its an average of 2 per child so can't be too bad surely? So, how did I end up with 6 and how do I justify still having them all? The first is the original travel system i had for Girl when she was born, a Graco pushchair/travel seat etc. It's a fanastic pushchair, it even has a thermometre on it!! I'm still using the car seat even though I'm not using the pushchair so I can't get rid of that one. So its sitting in the loft. Second is the little fold up buggy I bought to put Girl in when I was pregnant with Boy and couldn't manage the Graco in and out of the car all the time. A pretty little unisex buggy with a hood but it didn't lie back so I couldn't use it for Boy. I'll probably use it again when Bug is bigger. That one's in the loft too!! 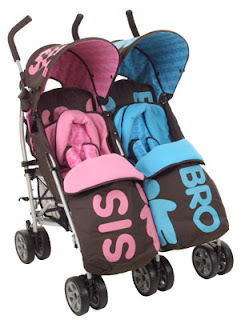 Third is the double buggy I bought to put Girl and Boy in together as there was only 22 months between them - it's so cute, its blue on one side, pink on the other, says Bro and Sis on it! I love that pushchair, had so many comments on it. But that one's in the loft because I got given another double buggy!! Unfortunately buggy number 2 didn't lie flat so I had to buy one that did as Boy still slept in his buggy once we didn't need the twin anymore. So of course I had to buy a buggy that lay flat so he could sleep in it. That was just a basic one I bought off ebay. It's sitting in the hall as although it still functions it's a bit tatty and I'm not sure whether to take it to the tip or put it on Freecycle. Plus sometimes Daddy takes Boy out on his own and needs a pushchair for him. The fifth pushchair is another double - I was given it by someone else and it takes the carseat like a travel system so Bug can face me, which I prefer. When they're babies I hate having them face away. Boy sits at the front weighing it down and Girl tries to get on the seat the carseat fits on as she thinks if Boy and Bug and sit on the pram then she should be able to as well!! When Bug is bigger I expect I'll use the pink and blue pram again when I need a double buggy as it's just too cute not to use! But for now this is the double I'm using. My final pram is really my 'I don't need it but I want it' pram! It's a BebeConfort pram with a proper pram unit on it, but then it converts to a pushchair that folds up really small. I fell in love with it when I first saw it and had to have it! So there you have it - 6 prams and good reasons for having them all!! Can you beat my record??? I'm 31, married with 3 small children, Girl, who is 4, Boy, who is 2 and a half and Bug my baby girl born in November, so as you can imagine I'm very very busy!! I currently live in North Wales but am originally from Nottingham. I love trying different crafts and am enjoying knitting at the moment - my last knit was a hat for Girl and she loves it - even sleeps in it! However I've recently discovered comping on Twitter and blogging so I don't know if I'll be doing much crafting for a while!! We're trying to get Girl diagnosed with Aspergers which is something they picked up at nursery. Its all very scary and we're not sure what's going to happen with her but the school is really supportive. Girl goes to a Welsh school which is interesting as neither me or my husband speak Welsh! I'm just dreading when Boy goes and they plot together in Welsh and I have no idea what they are saying!!! I love words and saying so I may ramble on a bit so please excuse me if I do!! I can't promise to only write about being a Mummy but I can promise it will come in lots!! !